A motorcycle crash on the Pennsylvania Turnpike has claimed the life of an off-duty Philadelphia police officer. NEWVILLE, Pa. (WPVI) -- Authorities say a motorcycle crash on the turnpike in central Pennsylvania has claimed the life of an off-duty Philadelphia police officer. Police said 33-year-old Seth Stellfox was an 11-year veteran of the force assigned to the 39th district in northwest Philadelphia. 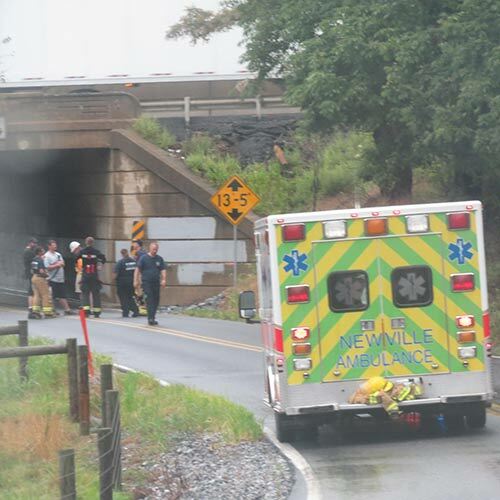 Officials in Cumberland County said Tuesday's crash occurred on the Pennsylvania Turnpike near mile marker 206 in the Newville area. According to coroner's office, Stellfox was travelling east on the turnpike when he lost control of his motorcycle, hit the guardrail and was ejected. Stellfox was pronounced dead at the scene. The coroner's office said Stellfox was wearing a helmet.